Spectralytics has a diverse group of equipment for cutting parts of all shapes and sizes, from guidewires to orthopedic tools. 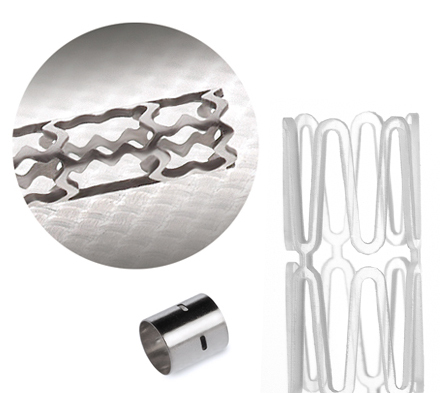 Some of the tubular projects we work on include stents, coronary and peripheral, catheter components, endoscopic tools, and flexible orthopedic instruments. The most common materials are stainless steel (304 and 316), cobalt chrome alloys, nitinol and platinum. We have equipment designed for cutting components out of shim stock and four-axis cutting and drilling of machined components or assemblies. 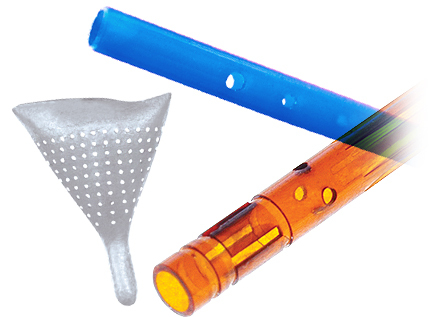 We offer laser cutting services in flat, extruded tube and molded polymer parts. With our diversity of wavelengths we choose the proper tool for your individual material and geometry requirements. Laser welding is widely used in the medical industry because it can fuse metals with no filler material, the process is repeatable and can be validated to tight specifications. Spectralytics has a range of equipment that will allow us to cover a wide range of medical applications. This encompasses spot welding wires and tubing (less than .004 spot size) to laser welding surgical and orthopedic tools that require .030” penetration. We offer laser drilling in precision holes in a vast array of metals. Micro hole drilling in tubing, shim stock and machined components are common applications where we achieve clean burr free holes to the tightest tolerances. Our USP cutting department uses Femto Second lasers to athermally cut materials. Materials that are thermally sensitive can be processed to extreme tolerances. The cut quality this technology provides reduces the requirements for secondary operations. This technology excels in cutting of precious metals and nitinol with Micro Features. Processing of the popular medical polymers can also be performed efficiently with this technology. 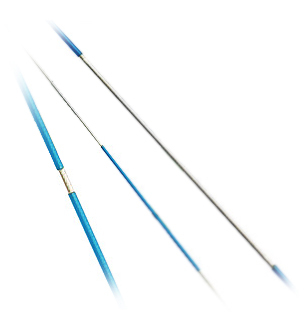 This allows Spectralytics to perform traditional tube cutting normal to the surface of the tubing (as commonly done on stents and catheter shafts) as well as cut true parallel walled holes and slots in orthopedic and endoscopic devices. In heavier wall tubing this technology allows for better fit up with mating parts during assembly. Laser drilling is commonly used in many medical devices including embolic protection and drug delivery catheters. Spectralytics offers 5 wavelengths of lasers that specialize in polymer drilling for the medical device industry. This gives us the flexibility to choose the proper wavelength for your application. Ablation, in basic terms, is the removal of material. It may be removing the insulation from a very fine wire, without damaging the underlying material, or it can be selectively removing a coating from a device. 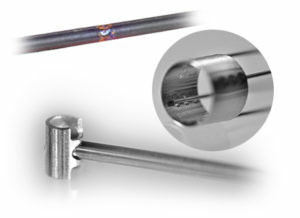 Laser ablation offers the ability to selectively remove material from an extrusion. 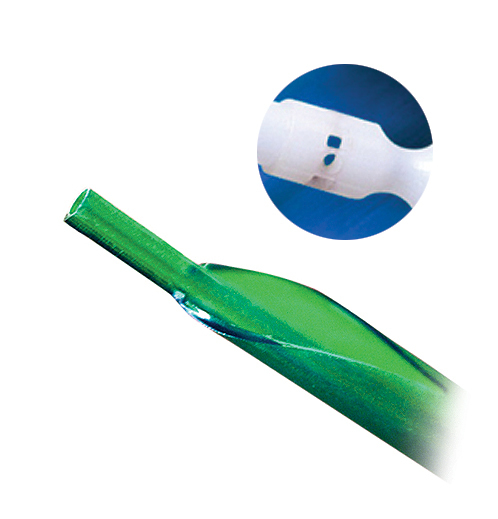 This allows customers to create relief for marker bands, reduce the OD of a tube in a selective location, or give them the ability to have a tube collapse in a known location depending on the requirements of their device. Traditional Skiving of extrusions uses a razor blade to put a slot or cut into tubing. With multi-lumen extrusions becoming more compact, laser skiving has become a preferred option. 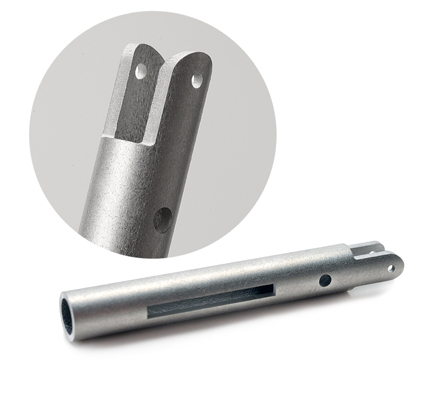 We can create tight tolerance features in selective lumens on many of today’s smallest extrusions. Serializing and part marking are critical for traceability for many medical applications. The marks become a permanent part of the material without adding any foreign substances and can be passivated after marking. We offer marking services for many polymer materials. One of the most common marking applications is laser marking of silicone for leads, but many other polymers can be marked with serial numbers, lot numbers or logos. The marking is permanent without adding any additional material or creating depth in the marked area. Spectralytics has developed both in-house secondary operations capabilities as well as a network of approved suppliers that offer a complete range of secondary operations to best meet your custom component requirements. In addition, our relationship with other Cretex Medical companies gives our customers access to machined components (rms); molding processes (JunoPacific); custom surgical instrumentation and sterilization case and tray products (rms Surgical); and precision stamping (Meier), providing a truly comprehensive solution for most component and sub-assembly requirements. We are a part of the Cretex family of medical companies, a privately owned enterprise with a proud 100-year history. We offer a complete range of medical device manufacturing expertise and bring you the convenience of billing simplicity, no markups and faster decision-making. We also have the financial strength and resources you may need to match your latest manufacturing technology needs.